Choosing a protective Cover can be a daunting prospect when faced with the mass range of covers out there on the market today. 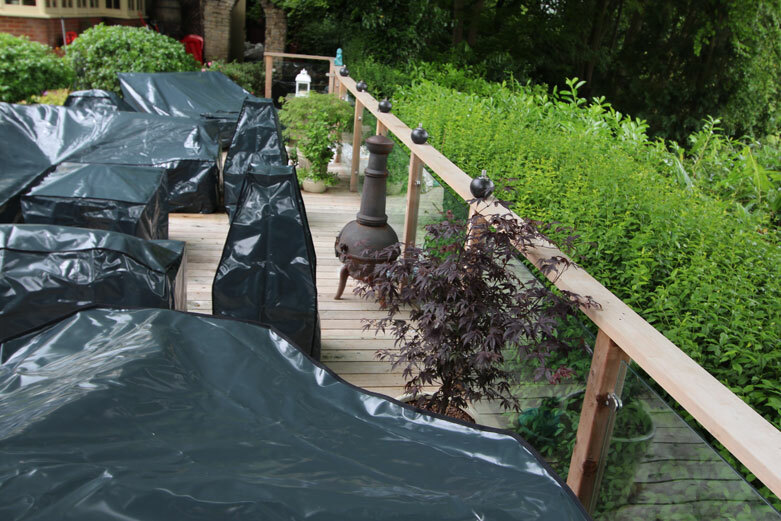 When buying a cover what you need to consider is what material it is made from and understand the vital elements which makes the cover strong enough to perform well throughout the seasons. In truth, outdoor furniture should be protected 12 months of the year when not in use, as it is not just the rain and harsh weather in the winter that will cause damage in the long-run. When covering Outdoor furniture the key to knowing the most suitable textile is firstly knowing what the furniture is and its environment. You need to consider what elements of weathering it experiences. What elements should I look for the Cover to do? In essence by protecting your outdoor furniture you are lengthening the lifespan of your furniture, therefore it needs to last just as long. Its longevity is dependent on several factors including the way it’s been manufactured, designed and its strength. When purchasing a cover you need to think about how long it will last you, where you may be saving money on a cover made from a cheaper textile, it may last a fraction of the time a better quality cover would last you. The most obvious one is its resistance to water, it is vital the cover is waterproof as water damage can be detrimental to your furniture hence shortening its lifespan. It is also important to note that ‘waterproof’ does not mean it is watertight, unless it is sealed at the seams, it is still possible for water to get through a very small amount, however good design and choice of materials can help prevent this. For instance ‘Kover-it’ uses special thread which can swell up in its holes to help keep water from getting through the seams. The design is also important as a well designed cover will never have its seams at the top where water hits direct hence can leak through. Strength is vital, it needs to be strong to withstand constant use of being put on and off, the weight of leaves or snow, and to withstand against strong winds. You need the cover to last as long as the furniture, without ripping or shredding. You also need to think about the environment and the type of furniture you are covering, if you are by the coast strength needs to be optimal to withstand the strong winds. It is important for your furniture to get air flow; this is especially important if your furniture is made from any canvas materials or is susceptible to mildew. If you are expecting the cover to protect your cushions as well you need to also understand to what limit is it protective as well as breathable? As with any cover or furniture specialist will tell you it is recommended not to leave your cushions outside in any situation as the ambient moisture in the atmosphere can be pulled into the cushion and could cause mildew. Also note that where a textile may be breathable, it may also not have other important properties such as strength and resistance to water; therefore you may find a cover made out of a textile which is not breathable but have vents or mesh in it to allow air flow may last much longer, and offer more protection. As well as lengthening your furniture’s lifespan, you also expect the cover to keep your furniture looking pristine and clean. Especially with rattan furniture, dirt can be a massive pain to get out from between the wicker, so the cover will protect your rattan from various hazards such as pollen, bird droppings, grime, dust and dirt. But you also want your cover to look nice in your garden, so it needs to be easy to clean. Textiles which are smooth such as Polyethylene and PVC-ST are easier to keep clean as the rain can wash most of the dirt away for you. However textiles such as Polyester which has a canvas-like feel to it can be more susceptible to becoming dirty over time, as its fibres retains dirt more and is harder to remove. It is actually the Suns UV rays which can cause the most damage to covers and to some garden furniture depending on their type. Therefore it is very important that a cover is UV resistant to prevent the Suns damaging rays from getting through. A covers UV resistance is dependent on the textile and the way the textile is treated. Covers manufactured from polyester with a polyurethane backing are treated with UV stabilisers to prevent the UV rays from getting through. This is because whilst Polyester has superb qualities such as it’s suppleness, lightweight and is more cost effective, it is not completely waterproof. That is why it has a coating of polyurethane on the inside to prevent water from getting through, However if the Sun’s rays get through they can dry out the chemicals in the polyurethane and cause it to blister and crack. Thus in the Winter when the cover starts to freeze it deteriorates even more and whilst the cover looks fine on the outside, when you take the cover off you will notice the inside has flaked away and water has leaked through. Polyester can also be backed with a coating of PVC, it keeps the cover waterproof, however can cope with the Suns damaging UV rays better, so will tend not to blister or crack. It is also a thermoplastic so can perform well in extreme temperatures of both hot and cold. However it is important to note that although Polyester with a PVC backing are less likely to blister, it is dependent on the thickness of the coating and the way it has been treated to how long the cover will last. As a very thin coating could possibly rub off if constantly rubbing against something. PVC-ST has very good proprieties, one being its superb UV resistance and its ability to withstand extreme temperatures of plus 70 and minus 30. Unlike the Polyester covers, it is not layered to make it waterproof. The Suns UV rays can also cause bleaching and fading, textiles such as some acrylic which are solution dip dyed are less likely to bleach or fade, as colours are impregnated into the heart of the fibre at the production stage, rather than dip-dyed. This is because the colour is added to the acrylic when the acrylic is in its liquid form at the beginning of the process. It is then converted into acrylic fibre, spun into acrylic yarn and finally woven into acrylic fabric. This process ensures the colour you see on the outside of the cover is also the colour on the inside. Kover-it uses Solution dip dyed acrylic which is marine grade for some of their covers. What is the best protective cover made from then? It really is ‘horses for courses’, for example, whilst PVC-ST is immensely strong, waterproof and can perform well in extreme weather conditions it is slightly heavier than Polyester and more expensive, however the PVC-ST has a much longer lifespan and would be more suitable for extreme and diverse weather conditions. For example if you are living in a Country such as Spain where there are much stronger UV rays PVC-ST would last longer as its UV stability and ability to cope with much higher temperatures without bleaching, fading or blistering makes it perfect for their conditions. It is not just the textile that is important for protecting your furniture; size and design is just as important. If a cover is too small then parts of your furniture will be exposed thus getting damaged, or if too big the cover will be baggy thus dragging on the floor, a baggy cover can also have the risk of being blown away as it can act like a balloon and air can get trapped underneath. Having a cover too big also means when the wind picks up it will move the cover more, and constant chafing of the cover on the furniture could damage the cover especially if it is not made out of a strong durable textile. What if I can’t find the correct sized cover for my furniture? If you can’t find the right sized cover the best choice is to have a custom made cover, as it will last much longer, protect your furniture better, and look much nicer than a baggy over-sized compromise. Ordering a bespoke cover also means you can find a cover that will be most protective and suitable for your furniture. Kover-it is renowned for their excellent bespoke service and helps customers understand and choose the best cover for them. Kover-it’s bespoke service allows you to have a well fitted cover designed for optimal protection and suitability. 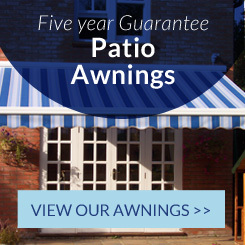 They are specialists in outdoor cover protection so are able to advise you on how best to cover your outdoor furniture. 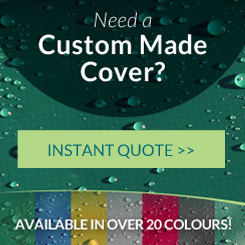 Renowned for their high quality covers, and excellent customer service, having a cover specially manufactured for your outdoor furniture means you can have a cover to how you want it to look, feel and perform. It isn’t just an option for customers who can’t find the correct size cover standard made, it is for customers who want high quality, well fitting covers that last 10 years plus. The understanding Kover-it has of outdoor cover protection means they don’t just sell you covers to your measurements, their highly trained staff can talk through what textile would be best for your outdoor furniture and will make you a cover that is how you want it to look and feel. 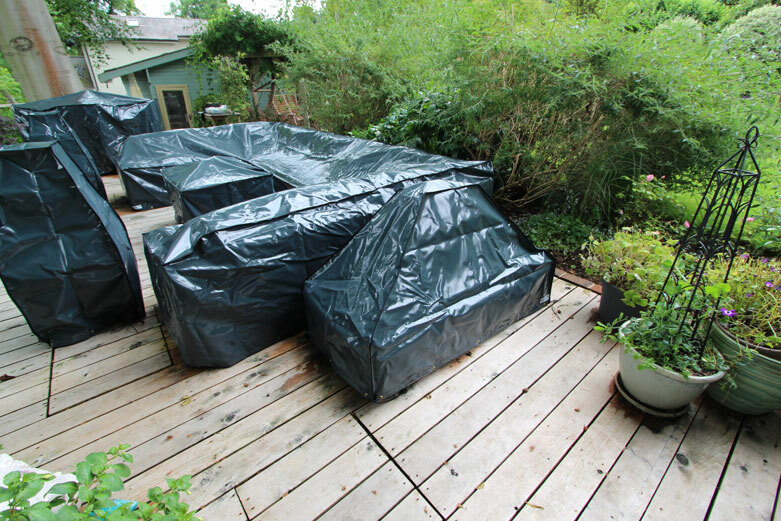 Quality has never been compromised, and although they may be more expensive than some covers out there on the market, their customer care and durable long-lasting covers brings outdoor cover protection to another level.